Honda takes a play out of the KTM playbook for 2019 and makes their very own Factory Edition, which Honda calls their CRF450 Works Edition. 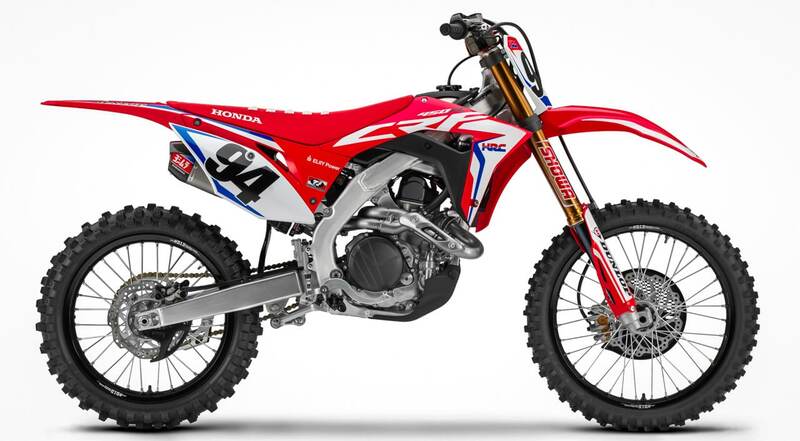 New for 2019, Honda introduces a CRF450 WE (“Works Edition”), a special model with a number of upgrades based on the bikes in the Team Honda HRC race shop. 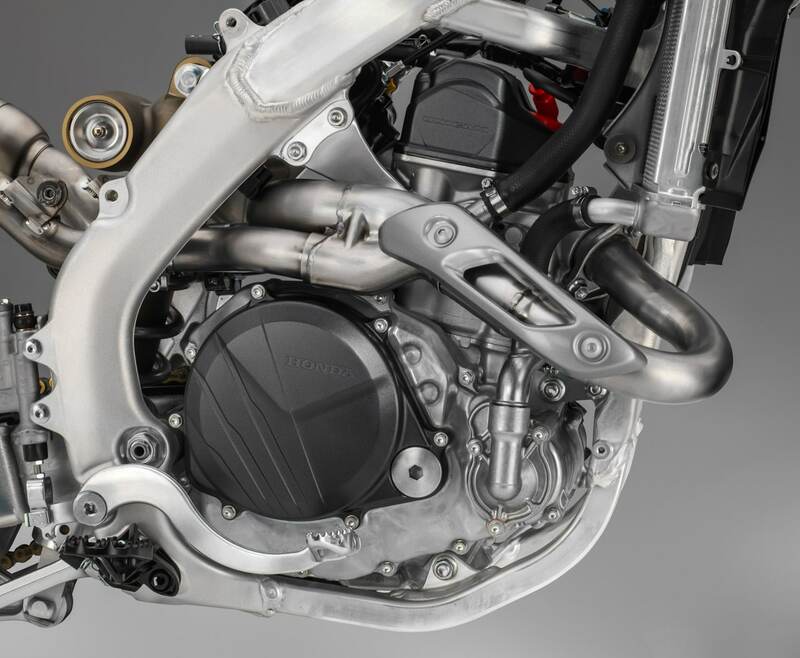 This motorcycle incorporates a specially designed cylinder head with factory hand-polished ports, a titanium Yoshimura slip-on muffler and special ECU settings in the CRF450 package. 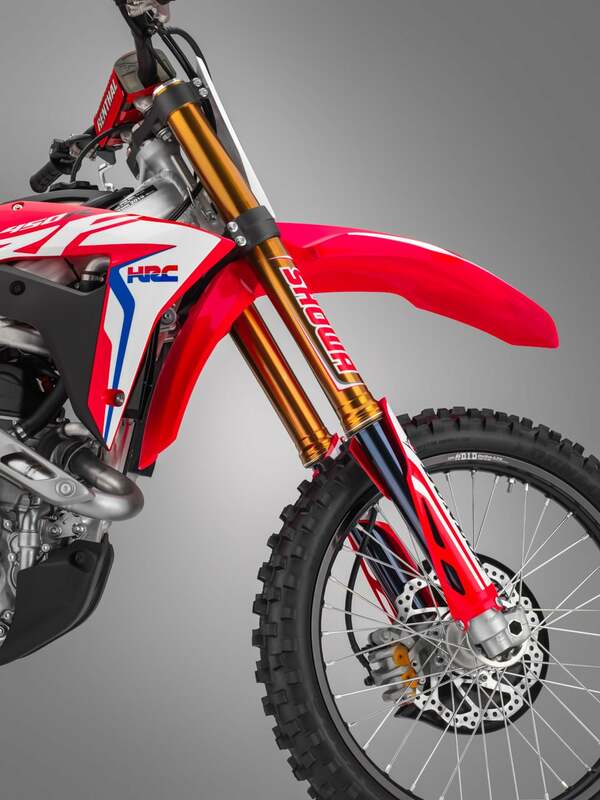 Sporting factory-inspired Throttle Jockey graphics and seat cover from Ken Roczen’s race bike, the CRF450 WE has the looks to match its incredible performance. 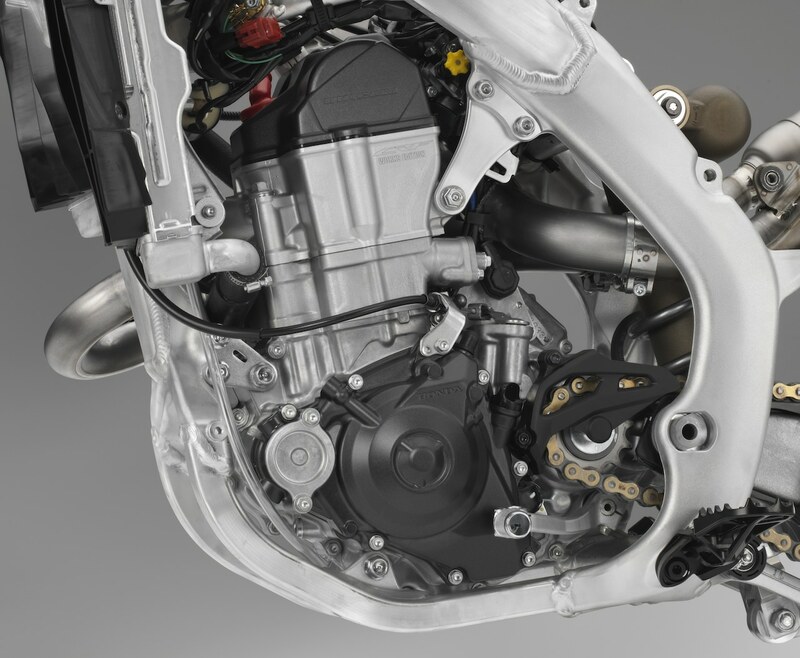 The 2019 Honda CRF450 WE’s head has factory hand-polished ports to improves torque from low-to-midrange. 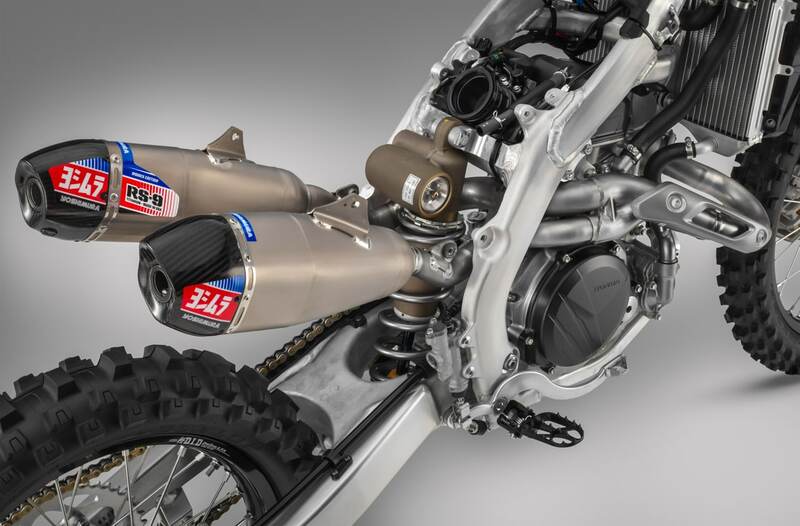 Slip-on Yoshimura dual mufflers come standard on the 2019 CRF450 WE. 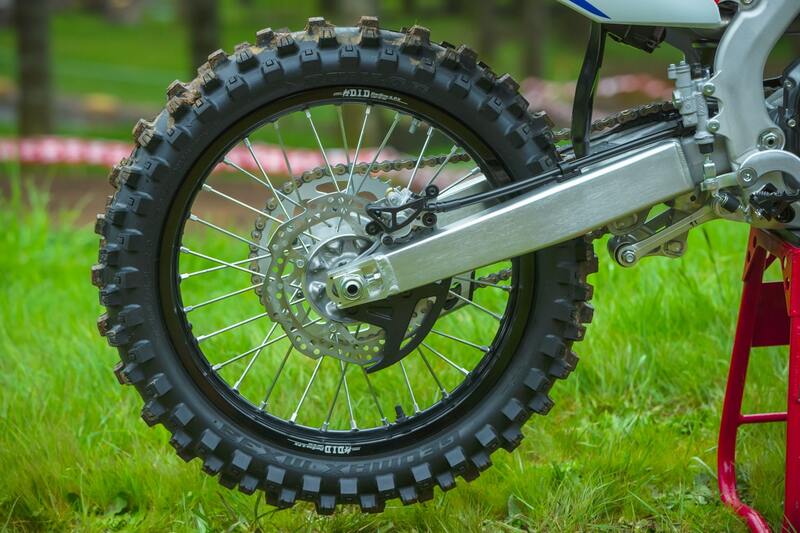 The CRF450 WE forks are Kashima coated and have a titanium nitride coating on the fork legs. Stronger D.I.D LT-X black rims with special laser-engraved logo come standard.